Adelbert van Deyen is a Berlin-based electronic musician who was very active in the late 70s and early 80s. Atmosphere was his third release, issued in 1980 and now reissued on Bureau B. The album contains four tracks: “Timemachine,” “Silver Rain,” “Atmosphere Part 1,” and “Atmosphere Part 2.” Each piece has a different relaxing vibe, but firmly in the Berlin school with pulsating electronics, sequencers, and slow chord changes. “Timemachine” has a mechanical, almost motorik, beat that drives the piece. “Silver Rain” is an eerie, introspective, and cinematic piece. 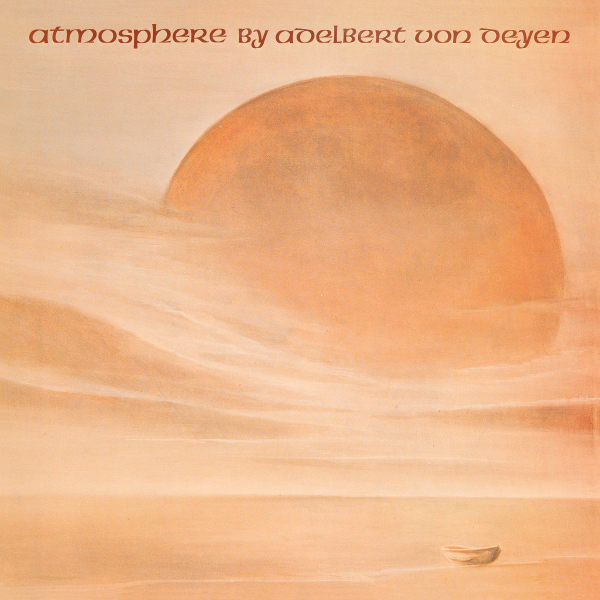 And the two parts of “Atmosphere” are quite derivative of Klaus Schulze and Tangerine Dream. The music is pleasant, relaxing, and of course atmospheric, but nothing outstanding or innovative, even when looking back from 2017. Probably only of interest by those who have never heard van Deyen’s music or those looking for additional Berlin school releases.